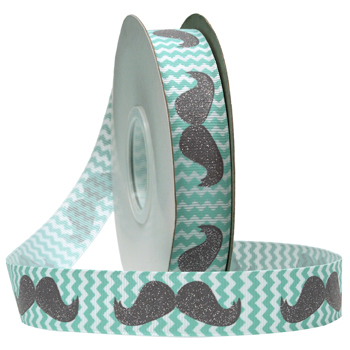 Glitter mustache printed on a modern chevron grosgrain background. Sweet Adelines and musical barbershop harmony remind us of fun activity. This decorative ribbon may be used for party decorating, gift wrap or used anywhere harmony and fun are available.